Care Shop sells high quality care home beds for any budget. We provide a range of comfortable divan beds that deliver a good night’s sleep. Designed with safety in mind, our strong and durable divan beds offer peace of mind. Our divan beds are ideal for use in the care sector. They are also designed with ease of mobility, care and cleaning in mind. Each divan bed is held by six legs for extra strength and support. Care Shop offers reliable standard mattresses and bases as well as breathable and water resistance options such as the Apollo Water Resistant Mattress that deliver maximum protection. Our range of care home beds including durable divan beds feature comfortable and strong mattresses and bases. In addition to complete beds, we supply divan mattresses and bases as separate units. 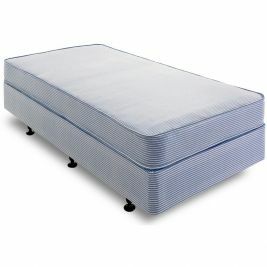 Divan mattresses and bases are made by Apollo, a major UK manufacturing of affordable beds and mattresses. All divan beds feature a 12 month warranty with coverage for any manufacturing defect. In addition to mattresses and base, Care Shop offers a full range of bedding accessories for divan beds from soft furnishings to headboards. Divan Beds There are 5 products.